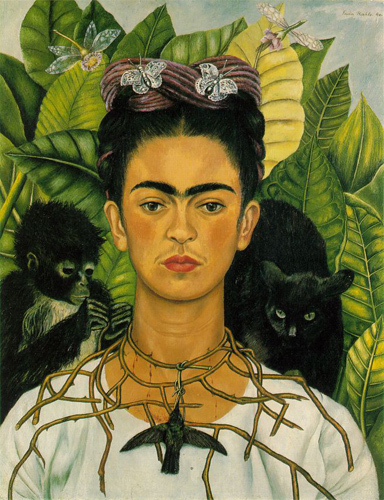 Frida, friend of Trotsky, fan of Stalin, was the creator of a loose kind of naïve folk art, largely works depicting her furrowed, furry-browed self. In a short and unhappy life, plagued by chaotic relationships, injury and ill health, she stuck tenaciously to her tiny, exotic, surreal self-portraits, which were heavily admired in her life by a few and venerated en masse well after her death. 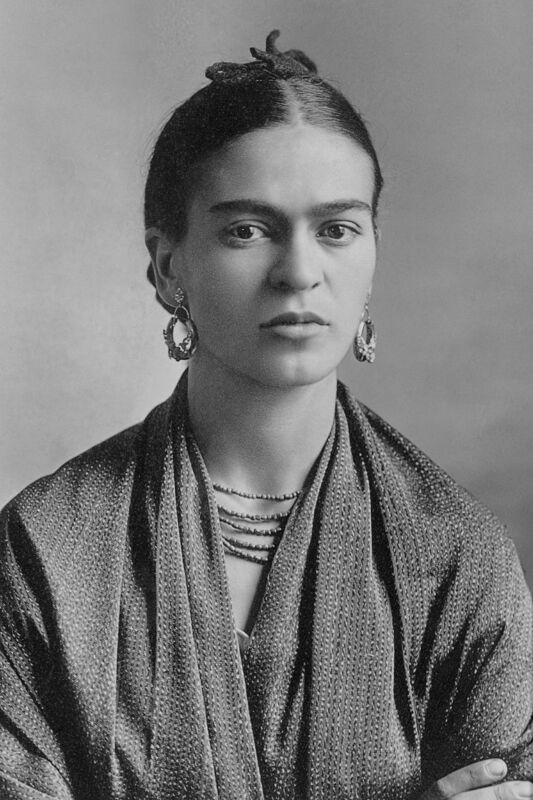 At the end of the day, Frida Kahlo was a gloriously individual individual. No one could seriously claim her work as in the top rank, but her weird visage in a sea of colour recurs to striking effect that holds, and moves, the viewer (and that is what art does).